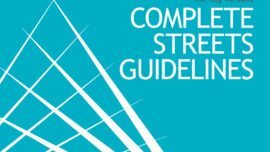 Alta, in partnership with Stantec and the US National Complete Streets Coalition, developed comprehensive Complete Streets Guidelines for the City of Edmonton that provide design guidance for construction and rehabilitation of city roadways, from alleys to arterials. 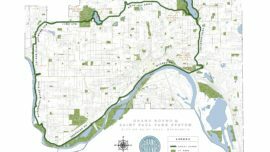 Edmonton’s current urban form is biased toward access and mobility for private automobiles. The Complete Streets Guidelines addressed this imbalance by providing a broad range of design options to prioritize pedestrians, cyclists, transit users and goods movement. 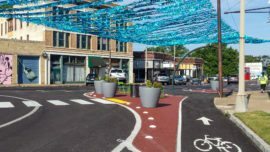 The Complete Streets Guidelines are intuitive, attractive, and user-friendly. They include interactive and comprehensive tools that allow planners and engineers working on project development to efficiently perform a range of tasks, from preparing strategies, concepts, and plans to developing materials for public outreach and responding to requests made by stakeholders and community members. 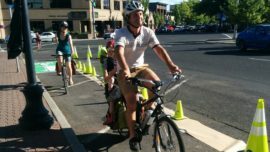 Three pilot projects are underway to integrate Complete Streets Policy and the use of the Complete Streets Guidelines into the City’s transportation planning.